Through the European Creative Industries Alliance website howtogrow.eu, I found out about a new platform for creative entrepreneurs. As it is stated in the article, this initiative has been launched by KreaNord. “KreaNord is a Nordic initiative designed to improve the growth prospect for the region’s cultural and creative industries. The work is carried out by the Nordic Council of Ministers and serves as a Nordic platform for exchange and development. More about the EntreNord platform here and about KreaNord here. Some time ago, I came across a PhD Thesis by Jenny Fatou MBAYE, a UNESCO African Specialist entitled “Reconsidering Cultural Entrepreneurship: Hip Hop Music Economy and Social Change in Senegal, Francophone West Africa” (LONDON SCHOOL OF ECONOMICS AND POLITICAL SCIENCE, London, July 2011). She also speaks about traditional entrepreneurial landscapes, cultural and creative innovation and cultural and creative entrepreneurship. 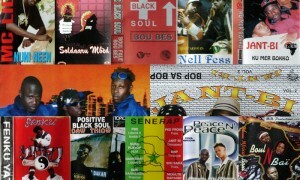 Furthermore, there is a focus on local (Senegalese) cultural entrepreneurs and especially on Hip Hop music. Apart from the strictly research approaches, the author situates musical practices in Francophone West Africa and talks about socioeconomic history of musical production, political economy of the cultural production and popular music. Long but interesting reading, especially in light of the recent UNESCO Economy Report 2013.